When am I supposed to start getting nervous about the upcoming nuptials? A month before? A week before? A day before? The day of? Since we are under 3 weeks away(Thanks for the constant reminders), I just thought I'd share with you that so far so good and I am not yet nervous. 1. The Goal Post in Quincy is just an old fashioned neighborhood bar with good food and keno. 2. I committed an ultimate no-no when I knocked a fat broads hat off at the Texas Saloon. I barely escaped with my life. 3. Chrissy's T shirts still get the ladies clamoring. 4. Mikey Layden doesn't know what "his thing" is. Maybe blogging my thing? 5. My neighbors don't like when I do work on my house at 8 am. Oops! 6. Smiddy is exploring his option in Charlestown. Look out Ironsides, the kid is coming for ya. 7. The Imperial Terrace is a straight up 70's/80's Chinese food joint. It smells like dusty mothballs deep fried in oil, the rug is sticky with booze, is dark as all hell and they have Keno(I know its not 70's but it paints a better picture). The only thing was missing was a smoking lounge. Fog cutters anyone? 8. There is always projects, ALWAYS! 9. Apparently I am the heat Nazi at my place. 64 is too cold for the boys while watching football and drinking. Hey ill turn the heat on when I can see my breath. 10. Everyone is concerned with who they are sitting with at the wedding. 11. The Penalty box is probably one of the worst bars by the Garden. It smells like diesel fuel inside and the beers are $4.50. 12. Nebo has good food but you don't get big plates for the price. 13. I have challenged Jeffrey and Larry to see how long it would take them to read a 350 page book. They tell me they don't have the attention span to read. 14. I can't seem to play the correct wide receivers in fantasy football. 15. I hate the new updated Itunes. I do not like the flow or functions they have added. 16. I couldn't pick a winner in college or the NFL this past weekend. I may of gone 0-16. 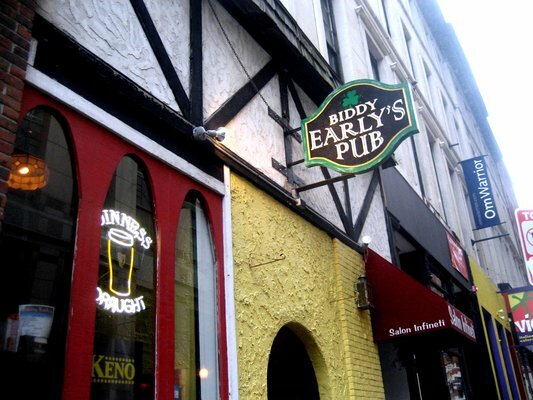 We play darts tomorrow night at Biddy Early's in town. If anyone wants to come down for some laughs and check out the Pres stop by anytime after 7:30.